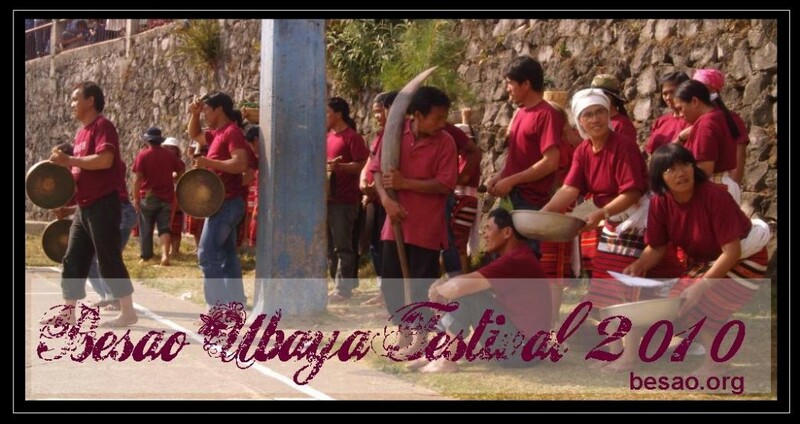 The 2011 Ubaya Program of Activities. 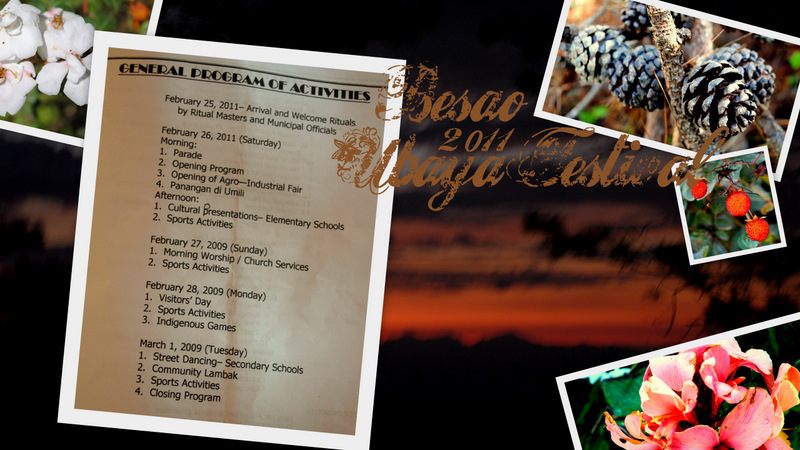 Plus aside from what’s on the program, you could also do other activities like sunset viewing and some short distance treks. Wild flowers and berries await those who wish to do some adventure. This entry was posted in Updates on February 22, 2011 by admin. 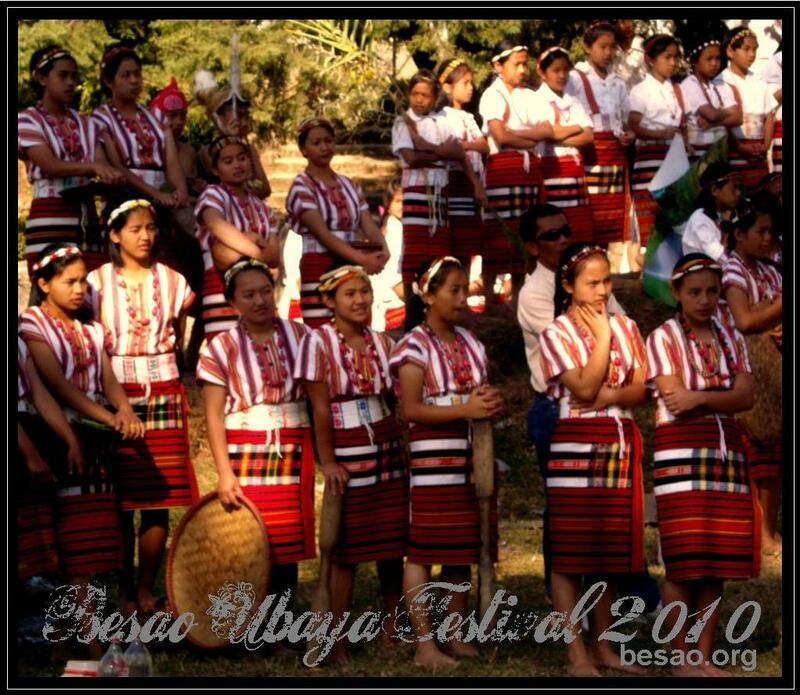 Students of Besao National High School in g-strings play the gongs at the grounds of St. James before proceeding to the Besao Central School courts. Students of St. James High School in panagpagan skirts stay under the shade while another group of students are doing their ground demonstration. This entry was posted in Updates on March 2, 2010 by admin. Reperesentatives of Lacmaan get ready for their cultural presentation. This entry was posted in Updates on February 27, 2010 by admin. Orange tents were put up at the ball ground so everybody could enjoy the community potlatch under the shade. This entry was posted in Updates on February 25, 2010 by admin.